The post Spinning Your Wheels on Marketing? appeared first on Alexandria Small Business Development Center. The following blog was written by Heidi O’Leska, Vintage Juice Brand marketing, who presented a workshop on this subject for the Alexandria SBDC last week. More than likely, it’s not the marketing, it’s the message. I often hear from clients, we spend tons of money on direct mail (or print advertising or social media) and results are less than 1% ROI. No bueno. What’s your Why? People don’t buy what you do, but instead, why you do it. They want to be inspired, appeal to their gut feeling/intuition. Pinpoint what your business does differently and better than competition (based on your why). Research and develop a marketing plan to deliver that message or series of messages to your most profitable target audience using the communication tools they are most likely to use. Differentiators – Best Quality, Best Service, Lowest Prices are NOT differentiators, most people say that, most customers don’t believe it until they experience your product or service, don’t waste time saying it, especially in the 8-10 seconds you have to first catch their attention. What’s the true differentiator? The intersection between what competitors are NOT saying and the true, genuine WHY you started your business. I facilitate messaging workshops with business owners and executives that includes taking an objective look at what competitors are saying and compare that to the true WHY of the organization, as well as its weaknesses. The methodology always results in a differentiator resonates – as well as creative ideas to communicate it. As part of our methodology we conduct focus groups and one-on-one interviews with our clients’ various audiences. With data in hand, we narrow down the most profitable audiences and develop personas for each, as the go-to for all new marketing initiatives. Bold Messaging – Don’t wimp out. And, don’t try to develop it yourself. Shameless plug, but, creative agencies are objective and well, creative! Millennials? – Facebook and even your website is a thing of the past to Millennials, concentrate on Instagram and getting great Yelp and Google reviews. Don’t even consider print advertising. Baby Boomers? – Facebook, Facebook, Facebook – the MOST targeted advertising available. Print in a local magazine that is well respected by residents, with your BOLD message, remember, don’t wimp out. Generation X or Y – A combination of the above, dependent on your product and what is available in your region. Interested in a 30 minute, complimentary assessment of your brand? Call me (Heidi O’Leska, President, Marketing Strategist, Vintage Juice Brand Marketing), (703) 922-2442. Branding & Marketing Agency based in Alexandria VA. 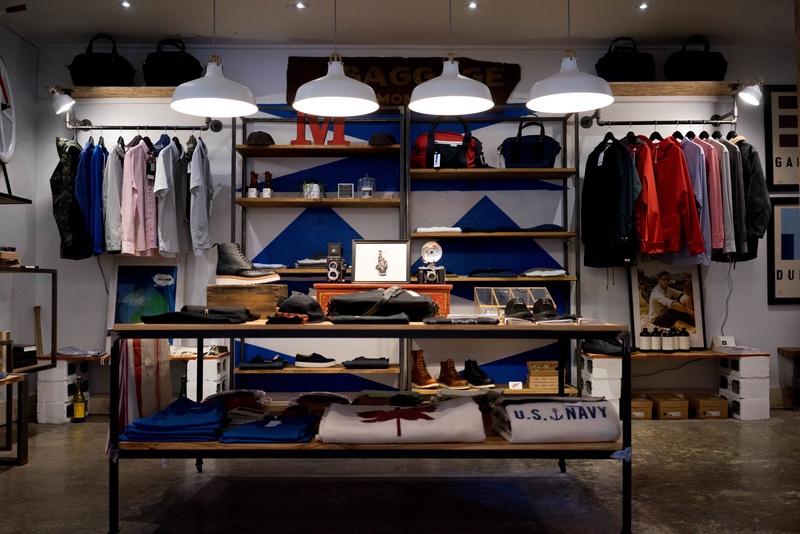 The post The 11 Basic Rules of Window & Interior Merchandising appeared first on Alexandria Small Business Development Center. The post Marketing Trends for 2017 appeared first on Alexandria Small Business Development Center. Interactive Content – Get people participating in your business even before they are a customer. Interactive content includes activities such as polls, surveys, infographics, brackets, and contests. Visual Content – Over 90% of marketers believe that visual content is essential for 2017. Content can be in the form of video, infographics, photos, chats, GIFs or Memes. It is important to establish a content strategy and budget for crafting visual content. Influencer Marketing – Who are the thought leaders in your industry who establish credibility through social and traditional media outlets? Remember that a brand is no longer what we tell the customer it is – it’s what customers tell each other it is. Who is blogging in your industry? Who has the FaceBook, YouTube, Twitter, and Instagram followers and what are they saying about your business? 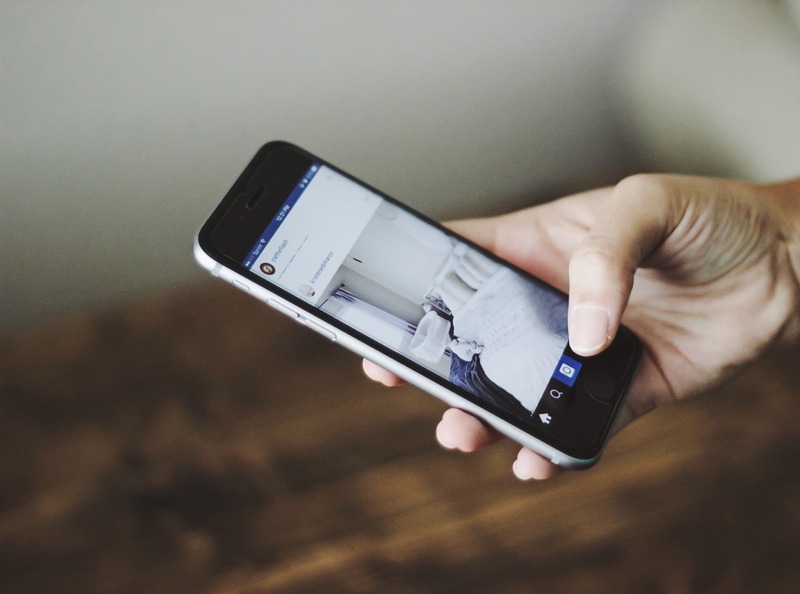 Embrace Mobile Video – It is here to stay! Make sure that the content you put out is mobile-enabled, and capture the metrics by views, reach, and reactions. Live Broadcasting will continue to push boundaries with FaceBook Live, Periscope, and Instagram stories. Be strategic on when to use live broadcasting, use a face, and keep it short and meaningful. Virtual and Augmented Reality – Businesses are testing how to use virtual and augmented reality to drive business results. How can you use these to create a differentiated, personalized customer experience? Keep it short! – Content that is short in length, such as video clips, can appeal to internet surfers’ limited (8 second) attention span. Check out Snapchat, Vine or Instagram stories. Remember to keep it simple and use images. Personalized Marketing – Consider leveraging data analysis and digital technology to deliver individualized messages and product offerings to current or prospective customers. Direct Marketing – Remember that this is still an important tool, used in over 50% of marketing campaigns and still growing. It is important for your direct marketing materials to include pictures and to be targeted to your ideal buyer. Test and Measure! – Above all else, pay attention to what works and doesn’t work for your business and your market. Set up metrics goals for marketing initiatives and track your conversions. The post Branding for Small Business: Visual, Written, and Emotional Identity-Building appeared first on Alexandria Small Business Development Center. This article was written by Ray Sidney-Smith, facilitator for Alexandria Small Business Development Center’s monthly Business Development Roundtable. You may join us every third Tuesday, January through November, for different topic-based discussions for Small Business in the City of Alexandria, Virginia. What brands do you think about when you think about the biggest brands in the world? Amazon, Apple, Coca-Cola, Google, Microsoft, Target, Wal-Mart, Wells Fargo, Verizon, and more come to mind from audiences when I ask. It’s interesting that they think mostly of technology and retail brands. According to London-based brand consultancy, Brand Finance, that publishes brand valuation studies for the largest brands in the world annually, has named Ferrari as the world’s most powerful brand for 2015, and Disney clinched that title for 2016. So, while appraising your brand is complex, the components that make your brand valuable should not be! Branding for Small Business owners usually surround the development of a brand-enabled business name, tagline, logo, and color palette, along with the sales and marketing strategy (and collateral) to create a cohesive brand. In this article, I’d like to cover the big three components of a Small Business brand and how you might take a practical approach to making your brand consistent and effective. While most business owners will start with thinking about logo and colors for their startup, I recommend highly that you begin with your business name and tagline being what I call, “brand-enabled.” Brand-enabled means that you have thought about how your name will be perceived by your audience, how it will be interpreted, and used across marketing channels. For example, is your business name easily spelled? If you are using it for your website domain name, this is even more important. Many times, businesses use their tagline as the website domain for their blog. Is this equally, easily-spelled over the phone, or given in a casual conversation at a networking event? Of course, these are not the only aspects of creating your brand-enabled business name and tagline, but I usually recommend to new business owners to brainstorm the various questions their audience would ask about their business, and then create a name and tagline that can answer those questions well. And, it is from the words you use about your company from your name, tagline, marketing copy, email signature, website domains, social media handles and usernames, let you next think about the visual components of your business. The next consideration for any Small Business is to think about the style of your company and culture you would like to present visually to your potential and future clients. Do you plan to represent your business as a luxury brand with high-paying clients with specific tastes? Or, do you have a casual brand let’s fun-loving and playful? Perhaps you have a brand that should appeal to children? parents? Mothers? other businesses? or some other specific demographic? These choices impact your business’ visually brand decisions. By working with a competent, local graphic designer, web designer/developer, retail architect, and/or printer (and Alexandria SBDC can refer you to their internal list of vetted, local professionals), you should be able to co-create an effective visual brand that might include a combination of logo, color palette, other visual design components (e.g., Social Media profile images and headers), website, marketing collateral (including business cards, flyers/postcards, and other printed materials), office/retail space design and layout, and/or branded apparel and merchandise. The key to a successful visual brand is its ability to stay consistent across different media and channels, but also keep in line with your verbal and written brand messaging. If they are out of synchronization, your potential and future customers will judge your business as a poor emotional brand and you will lose business, which we’ll tackle next. As I intimated, creating a successful brand as a whole means that your visual and verbal/written brand messaging are in synchrony. It’s an ongoing cycle of preparation, evaluation, and enhancement. However, that’s not the totality of emotional branding. Most of emotional branding takes place once a client has worked with you and their experience builds upon their needs, immediate wants, and long-term aspirations. This makes your brand readily accessible when they have a need or want so they contact you first, or when someone they know has a similar need or want so that they refer your product or service as their first choice solution. This is a powerful component of being in business, or being edged out of business in your first few months or years as a startup. I suggest that businesses that feel on top of their visuals and messaging components of their brand to then work on the fulfillment and customer service areas of their business to enhance their emotional branding value. While you can’t likely put a value on your brand easily, accountants believe they have a clear dollar value. “Goodwill,” the line item among the intangible assets on business accounting reports, is where brand value lives. And there’s a reason why the largest corporate brands command a high dollar for goodwill when buying or selling companies. Good brands bring good customers, and in turn, good profits. Assess your verbal/written, visual and emotional branding for your business by asking your trustworthy customers and trusted business partners how they perceive your brand strengths and weaknesses. Identify where you might have improvement areas and work to make those branding decisions that will make your company more valuable, and enjoy better sales from your efforts. The post Roundtable Recap: Last-Minute Holiday Marketing appeared first on Alexandria Small Business Development Center. I’m sure you are in the same race to the end of the year that most small business owners face around the country, and around the globe. No matter your political persuasion, this year’s election campaign cycle was surprising not only because of the outcome, but also since it was so hyped up in the media that we didn’t realize time was passing so quickly. And, so, here we are, 35 or so holiday shopping days. And, you need to grab the opportunities that avail small businesses during the winter holidays shopping season. Alexandria SBDC’s final Business Development Roundtable of 2016, was focused on last-minute holiday marketing and the group had many ideas about how to show your company’s best image during the holidays. Here are some highlights and my thoughts from the discussion at this month’s Roundtable. Traditionally the major winter holidays season run from late October until the end of December. As a last-minute holiday marketer, you can still benefit from the vast amount of dollars spent during this holiday shopping season. First, attune your target market to the season by decorating not just your retail environments and offices, but make sure that your website, social media profiles, and even your email marketing templates match the holiday seasonal themes. You can also devise promotions, discounts and giveaways that match your company’s style and target markets. You can choose to call your top 20% of customers to let them know about the sales, email your clients through your email marketing software, and post signage in your retail windows and doors (as allowed by your local authorities) so that passersby know about the holiday buying opportunities. These are all simple and easy to do, even at the last-minute. Over the past decade, we’ve had a new series of “shopping” holidays born here in the United States. 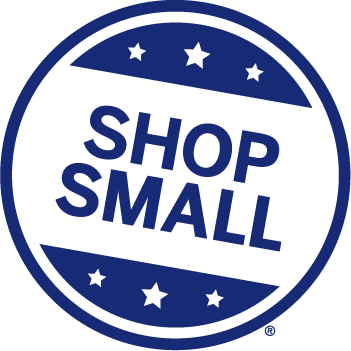 Remarkably, they don’t all stem from pure commercialism; but, we’re Small Business entrepreneurs here, so let’s put on our healthy capitalism hats and take advantage of these selling opportunities for our businesses, whether retail or service-based. Those shopping holidays are Black Friday, Small Business Saturday, Cyber Monday, and Giving Tuesday. You can research each of these holidays and learn more about their traditions and various tactics for being able to sell to your target markets on these days. Something to take note of is that these holidays are shifting in a variety of ways, such as Black Friday is starting to creep into Thanksgiving Day, Small Business Saturday is turning into week-long and sometimes month-long celebrations of the Shop Small movement in some Main Street areas, and Cyber Monday is being celebrated early on Cyber Saturday. Learning about these differences can help inform future years’ holiday marketing campaigns. So, what can you do last-minute? I suggest you think of some creative way to provide a promotion or discount to your target market and communicate to them via email. Since you don’t have very much time, email is the most effective mechanism unless you have a large and highly engaged Social Media following. Finally, even last-minute, there’s always an opportunity to bring the spirit of the winter holidays season to your target market by partnering with charitable and community-based organizations in your area, so reach out to them and see in what ways you can do so. It may be as simple as making a donation to the organization of choice in your clients’ honor, or coordinating a food drive for those in need. Holiday campaigns that build goodwill for your business during the winter holidays season brings top-of-mind awareness for sales in the New Year. As we close out 2016, Alexandria Small Business Development Center and I thank you, all the Roundtable participants who have joined us through 2016! The Roundtable is a free program where we bring you, Small Business owners and allies, throughout Alexandria together to discuss issues important to Small Business in Alexandria. Without your contributions and attendance there would be no Roundtable. I have the pleasure and honor to have been the facilitator of the Roundtable for going on seven years and I welcome those who have not yet joined us at the Roundtable before or those who have been away for a while, to come join us in 2017. You’re welcome to bring your lunch, your thoughts and experiences, and absorb the wisdom of your fellow Alexandria Small Business owners. Be safe and enjoy time with those with whom you care about this winter holidays season! See you in 2017! Netflix, you might have heard of it. It’s a billion dollar company that provides movies to your devices. The company has evolved and leveraged technology better than most in its industry. When I first heard of Netflix years ago, you could rent a DVD from their catalog of movies. They would mail you a copy of the DVD (or more depending on your subscription), you would watch it and they would mail another one to you from your list. Even then it was kind of innovative. Now, with technology, a subscriber can now stream from Smart TVs, Smartphones, Tablets, Computers and even Game Systems. This is all well and good but what can a digital marketer learn from this company? I recently had a meeting with a potential client. One of the first questions he asked was, how would I describe SEO and the Long Tail. To this I answered, have you heard of Netflix? The best comparison is Netflix versus Blockbuster. Traditionally speaking Blockbuster was a storefront that you went to more than likely Friday night to pick whatever movie (or game) that you wanted to watch over the weekend. I remember doing it as a kid. I would get in my parents car and we would go to Blockbuster typically after dinner and I would get to rent a movie. Of course the movies (or games) that I wanted were never there because someone (or a lot of “someones”) would often get there before me and I would have to wait for them to bring the movie back. Now, from a business standpoint, Blockbuster was always limited by the size of their store. They could only keep so many movies and so many titles on hand.Growing up in Northern Virginia, we even had 2 Blockbuster stores and I would try to go to either to get the movie that I wanted if I could talk my parents into it. Still, I often couldn’t get the movie or game I wanted. So, how did Netflix disrupt that industry? Well, in short it allowed an entire catalog that Blockbuster never could shelve because the demand was too small. In other words, if someone was looking to watch 30 vampire movies over the next month, Blockbuster would only have 5 or so of the most popular ones. There wasn’t enough demand for the others so they couldn’t justify the shelf space. That’s where Netflix changed things. They increased the catalog of movies that people could rent. There were way more movies that they could send to you because instead of having a storefront they shipped from a huge warehouse where they were able to stock more movies and as technology increased they were able to offer more and more movies that could be streamed on demand. Not only that, I’ve noticed that TV series that people were sad to hear were canceled, were now being picked up on Netflix. This was incredibly disruptive because as people started to realize their choices weren’t limited, they were able to “search” for exactly what they wanted to find. If someone wanted to search for Zombie movies with werewolfs, they would find that. So, Netflix was basically not competing with Blockbuster on the “Blockbuster movies” but instead were focusing on developing a different way for people to rent movies (subscription) and a larger catalog they could access. This would eventually (along with Redbox)sink Blockbuster. This is where your blog and SEO are so important. There are so many niche products and services that are making a “killing” largely because they are catering to these target markets. With the changing customer (the same one that is watching movies on Netflix or Amazon or tuning into YouTube series) that is now able to click a button and search specifically for what they are looking for, the long tail is an enormous opportunity. Here’s one takeaway that you should remember–it’s not that the small long tail searches are more than what is mainstream but collectively if you add them all up it’s more. In other words 10 (searches) is greater than 1 (search) but it’s not greater than 1+1+1+1+1+2+4+3+5+8+1…(you get the picture). That’s were Netflix blazed a trail that business owners and entrepreneurs can now follow. It’s where you can become top of mind not just for that one keyword that you are trying to show up for but the 1,000 other searches that are more attainable and honestly probably add up to more. On a practical level when people are searching on Google, it’s where your blog can show up. You will quickly be out of business if you target an entire website for 1 search but you can target a blog post for a specific keyword. It’s how you build your own Netflix model. It’s something that has not been leveraged in most industries. I would say after you start your blog and you get everything up and operational, do a really strong and dedicated discovery exercise and determine what people are searching for–think of everything–product names, DIY searches, product alternatives, frustrations, everything you can think of. Don’t forget to ask employees, clients, everyone. Then, just develop a calendar and start blogging. There’s more to it of course from an SEO standpoint but this is the approach you want to take to answering your client or potential clients questions. Another future note, don’t neglect the importance of social media as well. Some people are searching natively on these networks especially with hashtags so make sure you pay attention those changes as well. That’s how you become the digital Netflix of your industry! Be sure to check out and reserve your copy of our eBook–The Blue 16 Corner. It’s FREE! Originally posted: What Does Netflix Have in Common with Blogging & SEO?